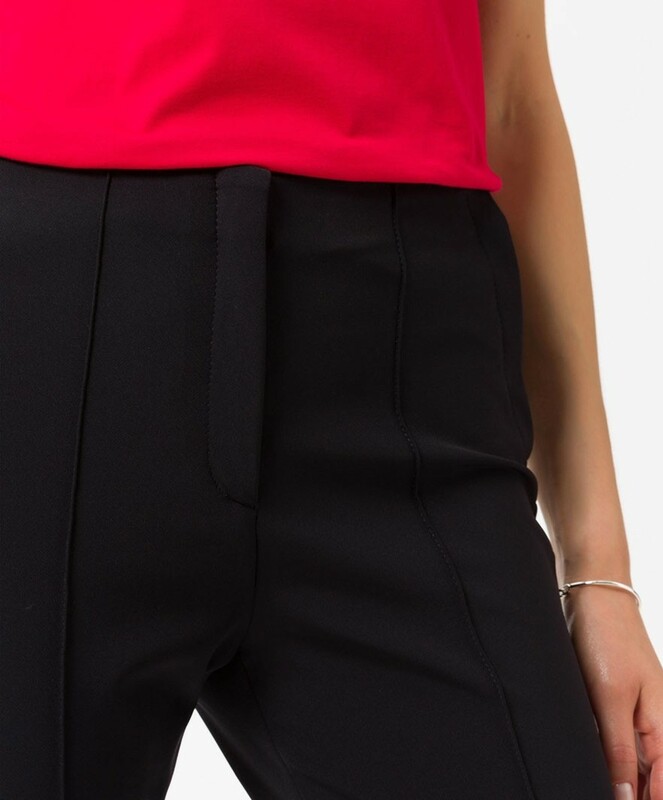 Ladies black trousers by Brax Feel Good, style Stella. 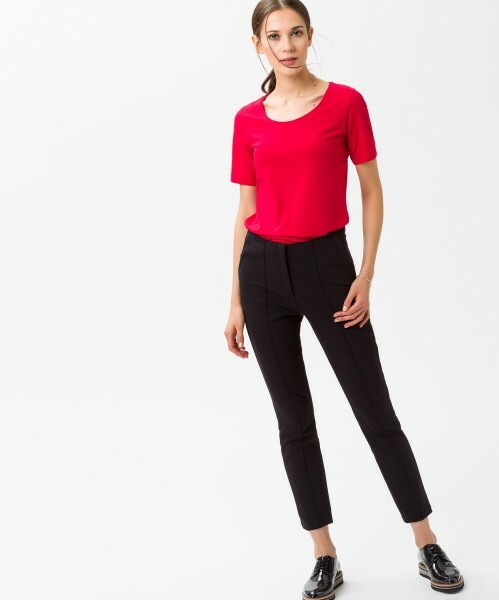 Super stretch trousers in a shortened length in a clean and simplistic design. 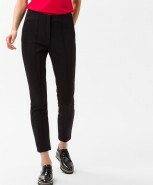 The piping down the front of the legs adds a touch of elegance. 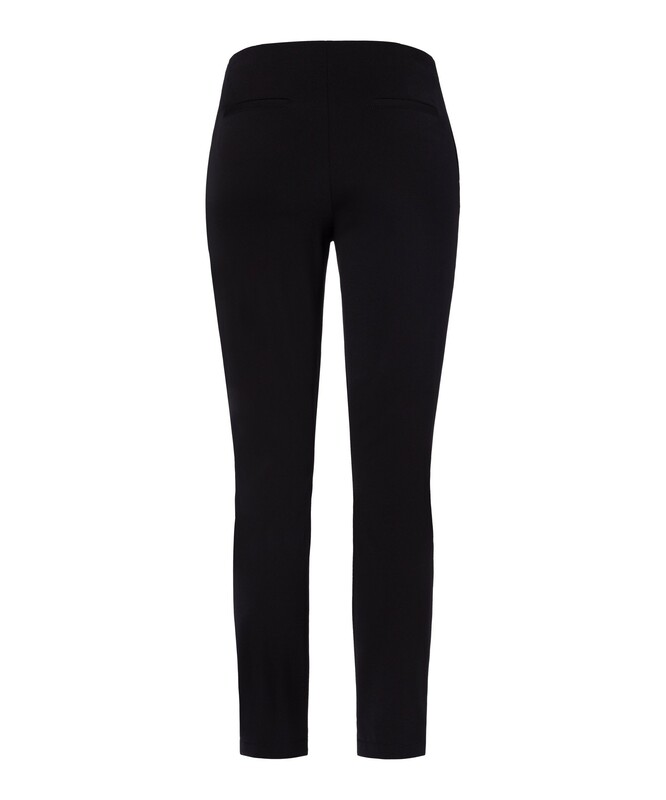 The added spandex gives complete freedom of movement and less creases. A skinny fit with zip fastening. A soft feel, colour and shape resistant. 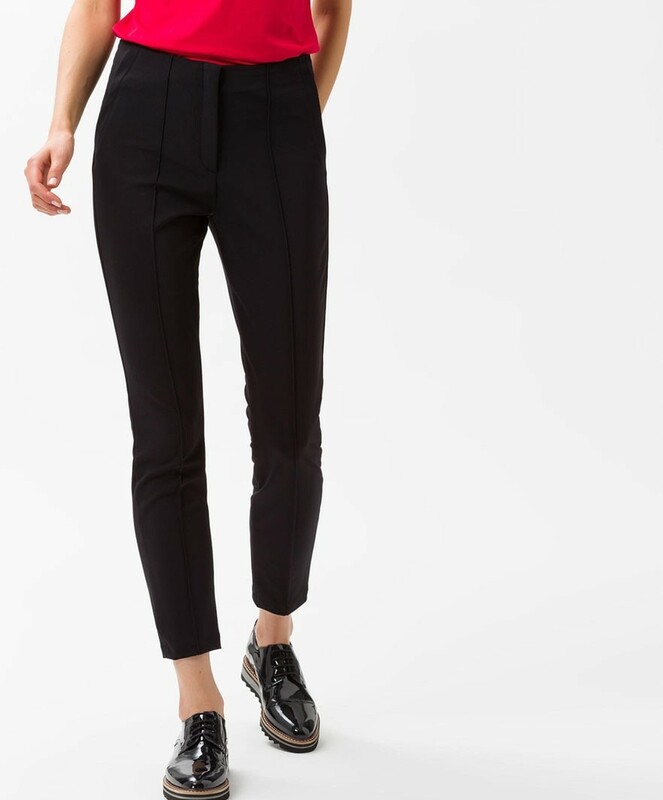 The perfect smart trouser for this season.